Bridge Summer Camps mix the best of artistic and scientific experimentation. 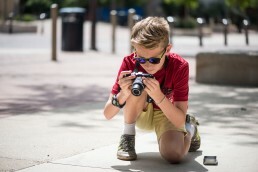 Kids, ages 9-14, will explore photography, video, sculpture, and creativity. Children excited by invention, and eager to MAKE will love our camps! 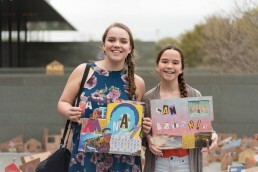 Hosted at Hemisfair, each camp closes with an exhibition opening for friends and family! Click “Register” below to get more details, or reach us at contact@bridgesatx.com or 210-570-5766. Play in the splash pad!